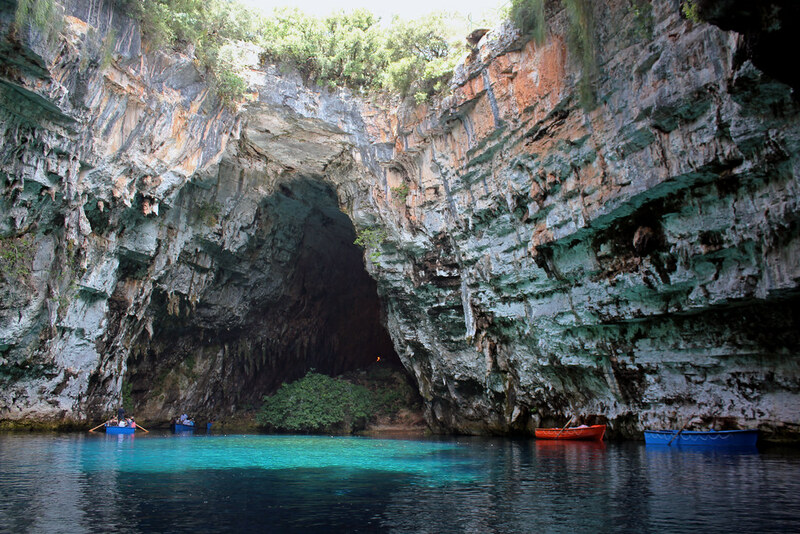 Melissani cave can be found on the east coast of the island of Kefalonia in Greece. 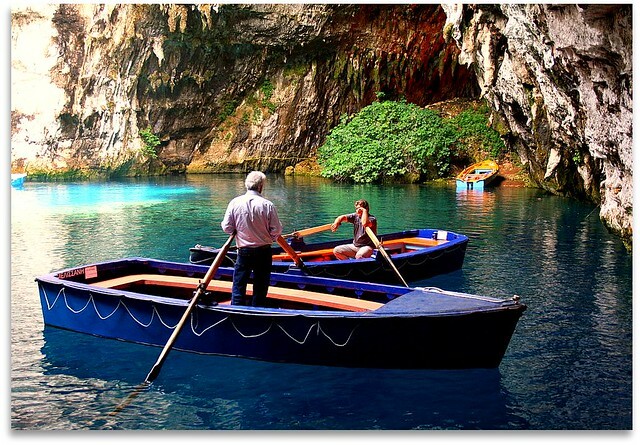 It is located about 2 km from the town of Sami and 10 km from the town of Argostoli. The caves are surrounded by forests, while a mountain slope is located to the west. Below you will find a gallery of this magical place along with additional information on the cave’s history as well as the best time to visit and what you can expect to see. 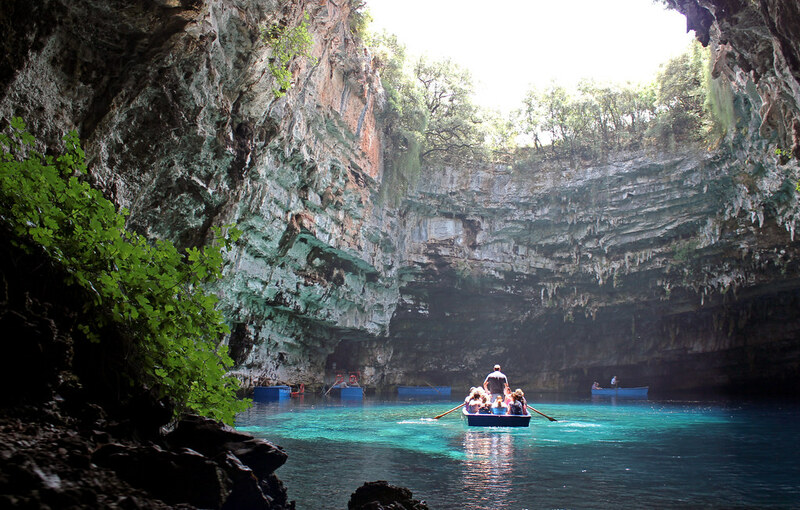 The cave is 100 meters long and the lake takes about one third of its length. It was first discovered in 1951 and was opened for the public in 1963. The lake water is brackish, a mixture of sea water and sweet water. The cave is about 500m from the sea and the water level is a meter higher than sea level. The brackish water rises from a 30m deep cave system on one side of the cave and flows to the other end of the cave. This was discovered by dye tracing experiments in 1959. The cavern, once two big chambers, caved in several thousand years ago. Today the cave has the shape of a ‘B’, with two big water filled halls and an island in the middle. The first hall has a big oval opening to the surface where the sunlight shines in. The second is a huge cavern with an arched roof and numerous stalactites and stalagmites. The best time to visit the cave is in the middle of a bright sunny day. Tours are done by boats that take you on a trip through both halls.